The tenth and final verse of Ps. cxlvi., which opens the series of HalleluiahPsalms that conclude the Psalter. The verse is employed as a response at prominent points in the liturgy, and is always the concluding response in the Ḳedushshah. In the rite of the Ashkenazim it also introduces (in association with Ps. xxii. 4 ) the responsory hymns in the Ḳerobot. In the ritual of the Sephardim it is chanted four times, by officiant and congregation alternately, before the scroll is returned to the Ark during the singing of the processional Mizmor le-Dawid. The melody to which it is thus chanted is a quaint strain long preserved by tradition and doubtless of Peninsular origin. 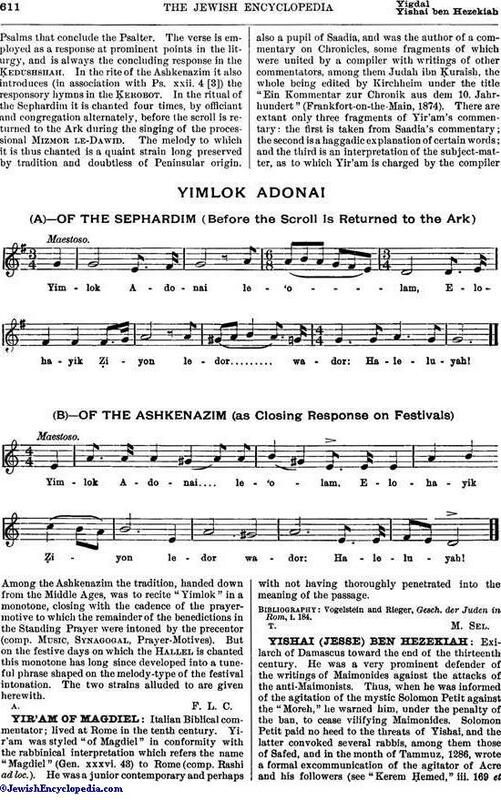 Among the Ashkenazim the tradition, handed down from the Middle Ages, was to recite "Yimlok" in a monotone, closing with the cadence of the prayer-motive to which the remainder of the benedictions in the Standing Prayer were intoned by the precentor (comp. Music, Synagogal, Prayer-Motives). 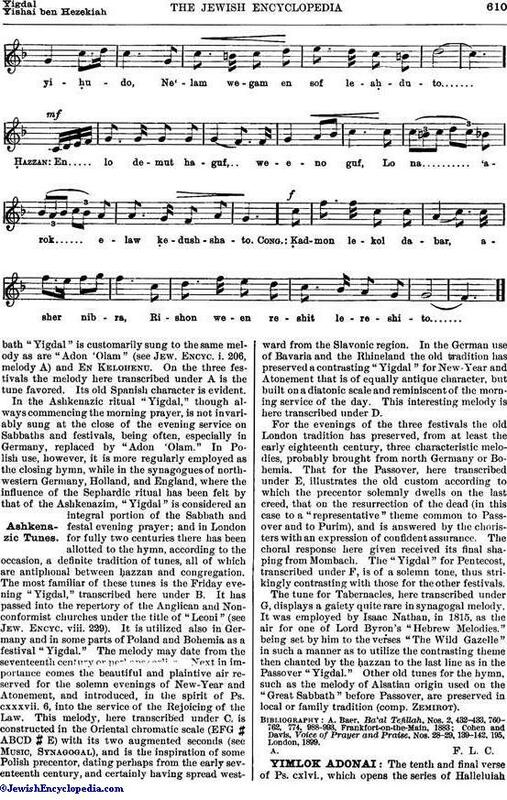 But on the festive days on which the Hallel is chanted this monotone has long since developed into a tuneful phrase shaped on the melody-type of the festival intonation. The two strains alluded to are given herewith.